Back in the 1950s Buddy Guy was a young guitarist living in Louisiana. 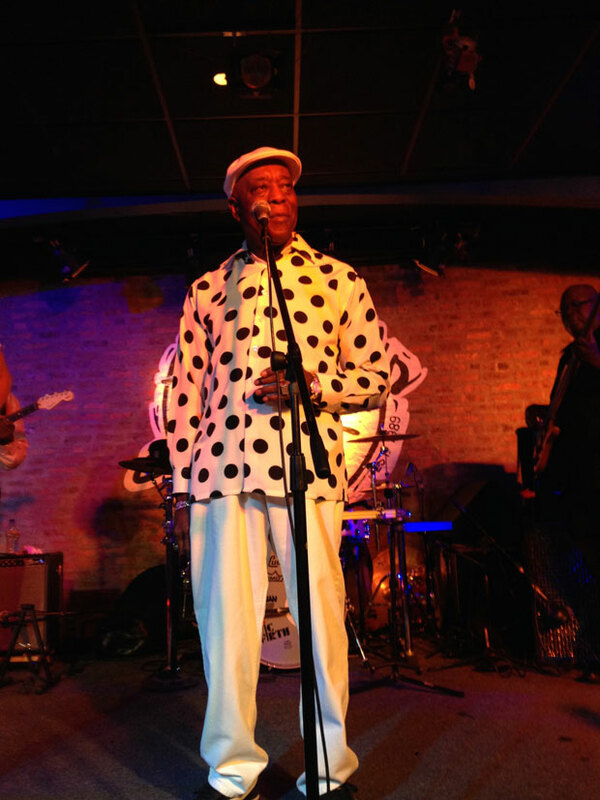 Like others he eventually traveled north to Chicago, where the blues scene was thriving. Those musicians not only inspired him to play, but to open the famed Checkerboard Lounge in the 1970s followed by Legends in the late 80’s to keep the music alive. Guy says he’ll never forget those early days watching his legends. Guy just received a Lifetime Achievement award at this year&apos;s Grammys. But he and other artists in town say their music should be just as celebrated locally. And they wonder: If Chicago is the home of the blues, then why doesn’t it have a permanent home honoring it? The blues made important stops in Memphis and St. Louis, but Chicago is where the blues really came alive in the middle of the last century. That’s when musicians like Muddy Waters came here from Mississippi, electrified their down home Delta Blues and recorded it for labels like Chess Records. You can still see remnants of this history around town. Like at the old Chess Records on S. Michigan Avenue and Muddy Water’s former house at 4339 S. Lake Park Avenue. Muddy Waters bought the home in the 1950s at the peak of his career and lived there for 20 years. It wasn’t just a home for Waters and his family. It was a gathering place for other musicians, where countless jam sessions were held. Today the red brick two flat is in bad shape. “It’s just depressing just to see that X up there,” Dollins sighed, pointing to a big red X affixed to the front. That X means the house is abandoned and unsafe. It’s been on and off the market for years. Dollins says the home could’ve served as a historic space, much like the Louis Armstrong home in New York. A place where people can see where and how the musician lived and what inspired them. 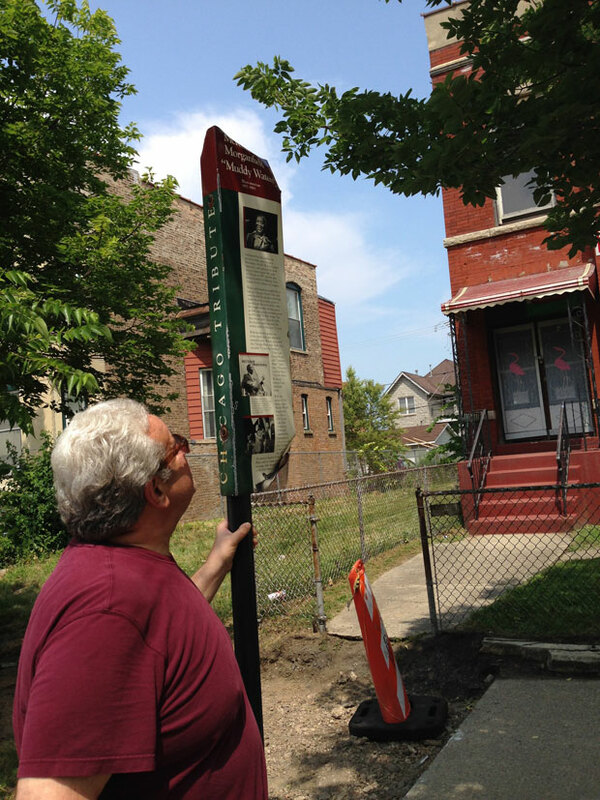 In some ways, the neglected house is symbolic of the overall failure to erect a permanent space to preserve Chicago’s music heritage. Steve Cushing is the host of the national radio show “Blues Before Sunrise.” He said Chicago deserves to have a blues museum, but he’s not sure how viable it would be. If something does ever get off the ground, it won’t be called the Chicago Blues Museum. That’s because local guitarist Gregg Parker copyrighted that title. “They call me the black Indiana Jones. If I can’t find it, it doesn’t exist,” said Parker. Parker once played with Mick Jagger and Buddy Miles among others, but now mostly collects artifacts for traveling exhibitions. In fact, the address for Parker’s museum’s is a P.O. box number. He once had a storefront space but won’t say why it closed. He gets a little defensive when asked when the public could see his whole collection. Parker shows how fragmented and disorganized efforts are to showcase the blues in Chicago. Many say the only way to get everyone on the same page — and all the artifacts under one roof — is for the city of Chicago to get involved. They point out that City Hall moved mountains for the proposed George Lucas Museum and the Obama Presidential Library. So why hasn’t it done more for the blues? But some tourists at last year’s free festival said they wished there was more to see while they were in town. “I’ve been begging for it for almost 30 years." According to Guy he may not have to wait too much longer. Guy has been working with a group that&apos;s been trying to build a blues museum for a few years now. No one at Navy Pier would comment. A statement from Tim Wright, co-founder of the so-called Chicago Blues Experience, said they’re close to finalizing the details, but can’t confirm when. In the meantime, another blues museum is moving full steam ahead. Built with a mix of public and private funds, the $13 million, 23,000 square foot space will feature interactive exhibits and a theater for live music. But you won’t find it in Chicago. The National Blues Museum is set to open this summer in St. Louis.